This is probably our Director, Oliver’s, top tip. Head on over to the overview page on the types of sake out there so you understand the differences. The sake at the top end of the scale – your daigino and ginjo – are the crème de la crème of sake brewing, and they are superb. However, they do come with an associated premium which is often too dear for day-to-day consumption. 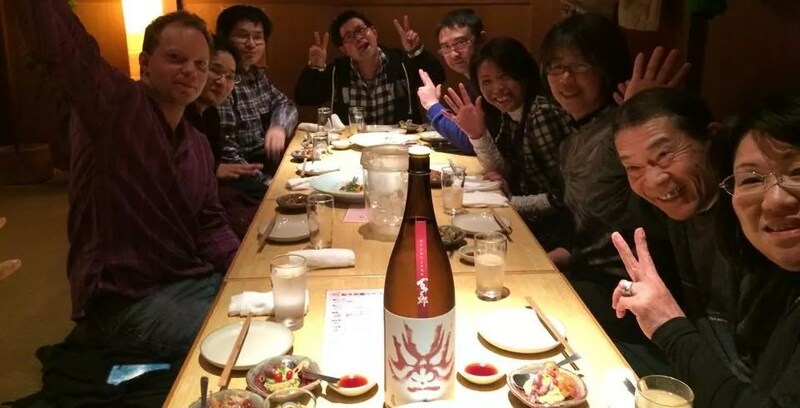 Plus, if you’re having a barbecue with a few friends then a daiginjo might be a wasted experience: the food will probably overwhelm and you won’t have the chance to savour the delicate nature of the daiginjo. Reserve these top end sake for quieter times and only a few friends – like you would a fine wine – when you have the chance to give it the attention it deserves and enjoy it to the full. Conversely, towards the lower polishing-rate end of the scale – your junmai, honjozo and futsushu – you find sake that are a lot more affordable and would work perfectly in the BBQ setting described above. Generally they have fuller, less delicate flavours that don’t demand your attention and suit a more boisterous menu and environment! Furthermore, there are other types of sakes – sparkling, flavoured, aged – that can be superb as aperitifs, dessert sakes or as a indulgent after dinner drink. Honestly, whatever you like! Drink it out of a boot if it makes you happy (although we wouldn’t recommend it!) The point is, there’s no specific vessel you MUST drink sake out of. Sure, there special cups – have a look at our sake wares – but you don’t have to use them. Equally, once you really get into it, drinking sake out of a specific glass can enhance your experience. We usually recommend to drink chilled, aromatic sake from a white wine glass with a tapered top (such as a Riesling glass) and warm sake from a earthenware sake cup (guinomi or choko). But please, do whatever makes you happy! One of the absolute joys of sake is its ability to work across a range of temperatures. Chilled sake on a hot summer’s day or with delicate food, warmed sake to escape the chill of winter or with heartier, full-flavoured foods. Fabulous. Have a look at our page specifically on sake and temperature to discover more. The food pairings you can make with sake are endless: sake & cheese, sake & chocolate, ice cream, fish, meat, veg….. There are too many to put here but we give some general pairing tips over on our food pairing page and Oliver is always adding to the blog under the ‘food pairing’ category when he discovers exciting and new combinations. Finally, as mentioned above, enjoying and drinking Japanese sake is a very personal experience so please try lots of different things and if you find something that works for you do get let us know!